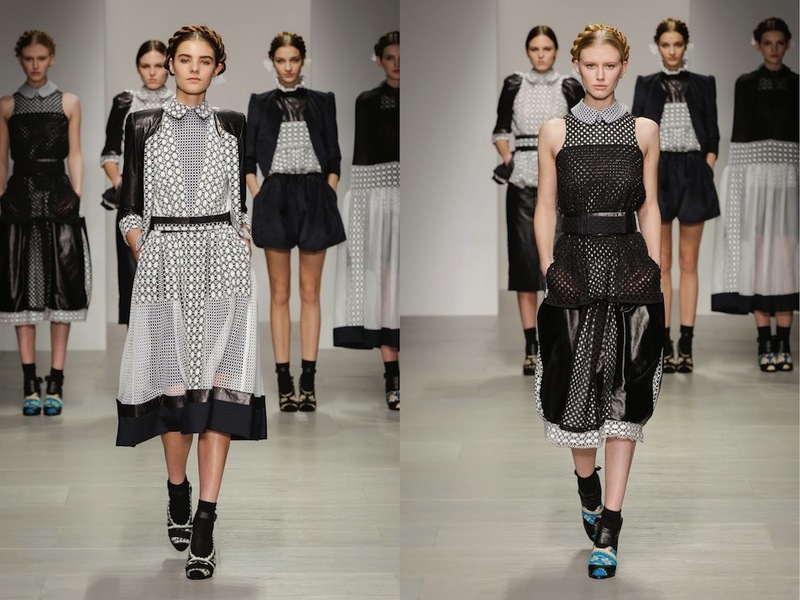 Bora Aksu is a brilliant designer whose works I've been following for a long time. Here comes a cliché but I really didn’t know how to begin for an interview post of a designer that I admire. Anyway, it’s never enough for me to praise him since he has been already awarded many times by the fashion authorities. The only thing I surely know is that he always can manage to make me feel something even with his drawings. Every day, I found myself in a place where I think and feel something I don’t even know, by looking his drawings from the little screen of my phone. I guess that’s the thing: to make someone to feel something while being so modest. It is not enough how much I thank him! 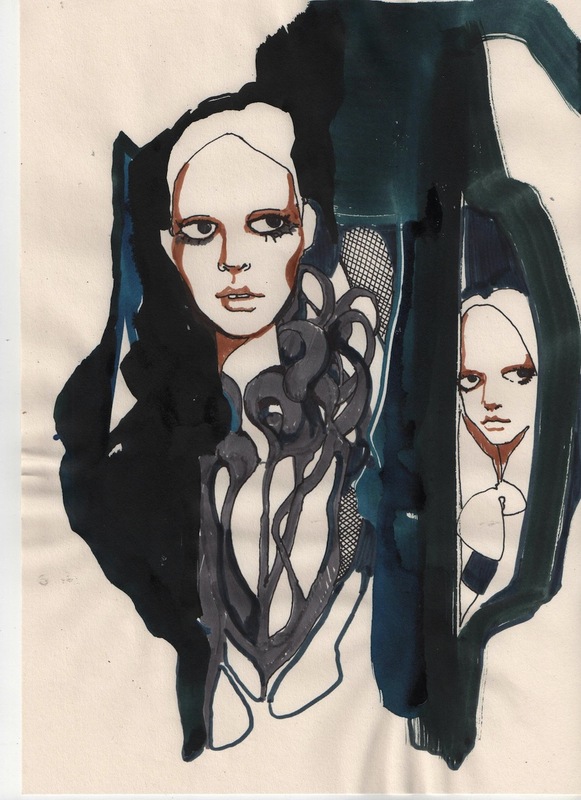 Can you describe the relationship between art & fashion? Do you think that the designer is a kind of an artist? Although design and art need to be together, there are some points that separate them from each other. 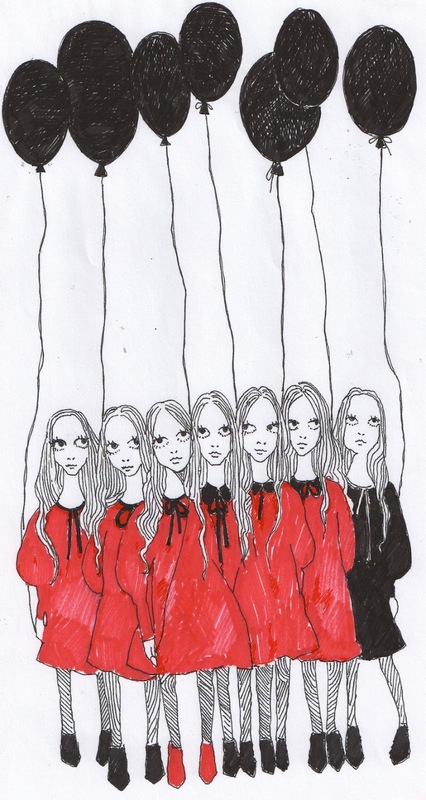 Fashion can not stand alone like art since fashion has to find a meaning the concepts like body, person, wearability. What kind of change have you observed in fashion during the past few years in Turkey? What needs to be done in order to support the development of fashion and catch the world standards? Turkey has been experiencing a big awareness during the last few years. It, especially, can be observed by looking at the younger generations. It is not fair to compare Istanbul with London in terms of their place in fashion platforms. London is an accepted city with its own fashion industry where fashion weeks have been occurring for years. British Fashion Weeks and British Fashion Council have an important role in fashion with their own system and mechanism. The fashion industry knows that something new and trendless ideas will be served when it comes to London Fashion Week. On the other hand, Istanbul Fashion Week is a brand new and developing event. For many designers, Istanbul is a source of inspiration. It is possible to face a hidden treasure on each corner of the city. Istanbul is so special for me. Every time I am in Istanbul, I catch a different wave there, which is mysterious and changing. In order to call Istanbul as a fashion-setter city, the concept of individualism has to reflect on the designs. In my opinion, one of the most important actions about this is increasing the number of individual designers and supporting them, as well. It is not enough to only support, for sure. Also, it is crucial to create a market for these designers. Of course, it will happen thorough out the historical process. What about creation process of your designs? I am curious about your mood during those times. Being a designer is a way of living because it is an inevitable and vital fact for me like breathing. The awareness of the design language used by the designer is very important. I am trying to protect, develop and renew my design language. Developing this language is a kind of a journey, I think. While you are travelling from a place to somewhere else, means doesn't change at all. The thing that changes is the places you've seen, the people you've met during the journey. In other words, the thing, which is changing, is you, not the vehicle itself. This is my description of creativity. It may be the same means that I use in every journey but my way of using it is constantly changing. Actually, the process of a garment being a design object lies under its creativity process. In my opinion, design is the reflection of my current mood and senses. So, it is possible to talk about a volatile design journey. No matter how the design process changes, the language of the designer does not. This is why each designer has his/her own language and own style. The important thing is the idea of “changing something imaginary to something real.” Each collection is actually is a beginning for the next collection. I am trying to open myself up towards anything during the designing process. Anything may be a muse by then; a photo, an item, a memento, even a dream could be the trigger for a design. I love every step of the designing process. Do you consider any event as a turning point of your life? Being a designer is entirely a turning point to me; because I believe designing is as crucial as breathing for me. Your main aim is so important because everything, which evolves with love and passion, reaches to the success eventually. 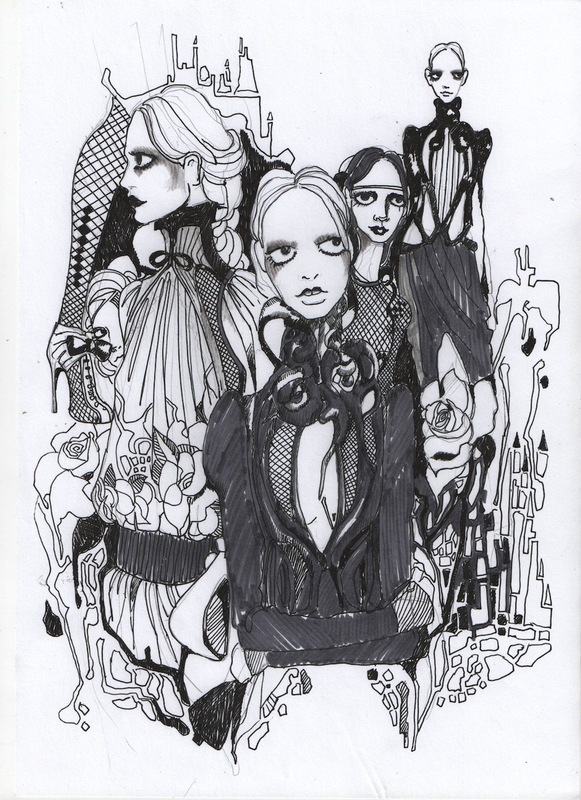 To design something, my drawings' coming true and seeing them on runways are priceless gifts. If we need to particularly define a turning point, the day I am accepted in CSM could be it. What is the moment / event that makes you proud of yourself? Being a designer and expressing and maintaining as a designer are two things that make me proud of myself most. London Fashion Week is famous for being the most individualistic and creative fashion week among other 4 international fashion weeks. I’ve been on London Fashion Week’s official list and I’ve been having shows since 2003. I was awarded the prize of “New Generation” by British Fashion Councils for 4 times. 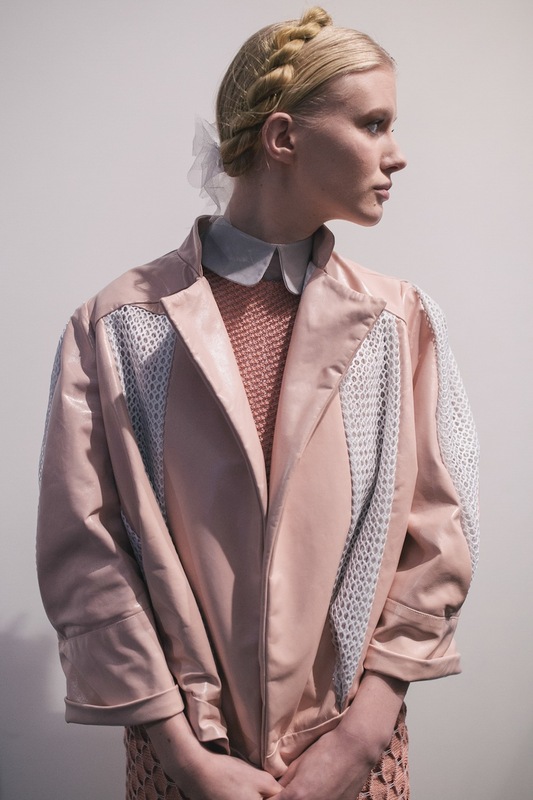 British Fashion Council’s support of new generations designer is what makes London Fashion Week that much fresh and strong. Not only BFC, but also Queen of England, Prime minister and his wife are also supporting the designers. What’s the city that you want to live in most? London is the place where my ideas are grounded and come true. No matter how much I travel and get inspired, my atelier in London is the place that all my ideas pop up. So, London is a safe creation area to me. It is the place that all my ideas mix together and come to life. London is my home, my shelter. So, it is more realistic to say that I feel that I belong to London. Is there any book or movie that you’ll never be bored of reading / watching? As a movie, I’ll never be bored of watching “Whatever Happened to Baby Jane (1962). However, I don’t know why but the books are over as of the moment I read them. The first thing comes to your mind when you hear “Fashion is… "
Everything that is not trendy. The first thing comes to your mind when you hear “Happiness is… "
Living at this very moment with the purifying past and future. Is there any taste that you never forget? There are things that I have to eat every time that I’ve been in Istanbul: fish, lentil soup, chickpea. So like homemade meals... I surely have tea in a slim waisted glass (kind of traditional Turkish tea glass) and Turkish coffee, which I don’t like normally. Eminönü, Karaköy, Tünel, Galata and Beyoğlu are the places that I definitely stop by. Shoreditch House is one of my favorite places both having a nice atmosphere -especially when the weather is good- and delicious meals. I always find something interesting in Bistrotheque and their weekend breakfasts are especially tasteful. Also, Neco Japanesse Café is one of my favourites. Is there any brand that you’ll never give up on? Actually no, but I have a huge respect for some brands due to their legacy. 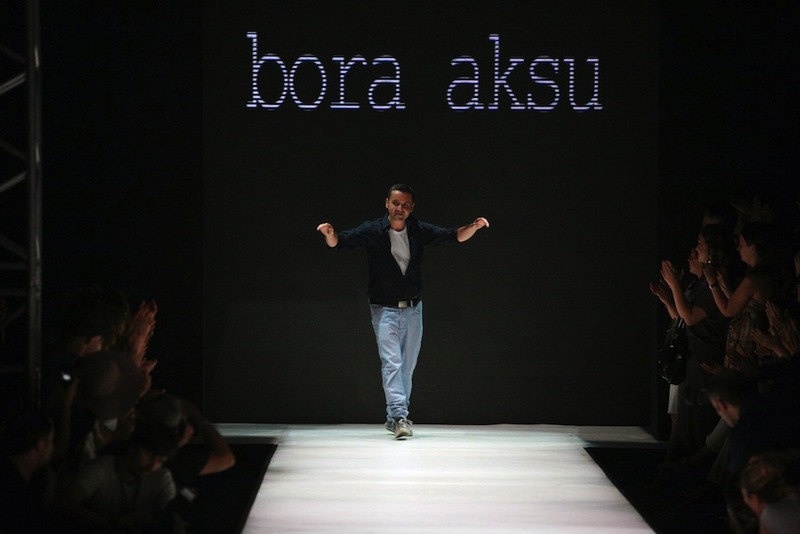 Bora Aksu benim uzun süredir hayranlıkla takip ettiğim bir tasarımcı. Ve işte klişe bir cümle; ama gerçekten sevdiğim ve yaptığı tüm işleri bayılarak takip ettiğim bir tasarımcı için başka nasıl bir cümle kurarak giriş yapılır, inanın bilemedim. Tasarladığı harikalarla dünya kadar ödül almış ve yurtdışında kabul görmüş bir tasarımcıya zaten ben ne kadar övsem de az. Sadece şunu biliyorum; tasarımlarına bile geçmeden, yalnızca çizimleriyle bile bende bir sürü farklı duygu uyandırabiliyor her gün. Minicik telefon ekranına bakakalıyorum çoğu zaman. Galiba işin sırrı insanlarda yaptıklarınız karşısında böyle duygular uyandırabilmekte... Hem de bu kadar mütevazi bir birey olup. Bu röportaj için de kendisine ne kadar teşekkür etsem az! Moda ve sanat arasında nasıl bir ilişki görüyorsunuz? Tasarımcı da bir tür sanatçı mıdır sizce? Tasarım ve sanat elele yürüse de kesinlikle ayrılan çok büyük yönleri var.Moda sanat kadar kendi başına duramıyor çünkü vücut, insan, giyilebilirlik gibi çok yönlü kavramlarla anlam bulmak zorunda.Moda sanatla etkileşim halinde olsa da o ince çizgi üzerinde yürümek zorunda her zaman. Türkiye'deki moda anlayışında son birkaç senede nasıl bir değişim gözlemliyorsunuz? Sizce bu gelişimin hızlanması ve dünya standartlarını tamamıyla yakalaması için neler yapılmalı? Türkiye’de son yıllarda moda anlamında inanılmaz bir farkındalık yaşanıyor. Özellikle yeni jenerasyonlarda bunu çok net görebilmek mümkün. Londra ve İstanbul’u moda platformundaki yerleri anlamında karşılaştırmak yanlış olur. Londra’da yıllardır süregelen moda haftaları ve işleyen moda endüstrisi ile kabul görmüş bir şehir. İngiltere Moda Haftası’nın ana iskeletini oluşturan İngiltere Moda Konseyi ve işleyişi, kendine has sistemi ile enternasyonal platformda önemli bir yere sahip. Londra Moda Haftası denildiği zaman endüstri; yeni ve trendsiz fikirleri göreceğini, yeni yeteneklerle tanışacağını bilir. İstanbul Moda Haftası ise oldukça yeni ve büyümekte olan bir moda haftası.İstanbul inanılmaz bir esin kaynağı pek çok yaratıcı için. Her köşesinde gizli bir hazine bulabilmek mümkün. Benim için de İstanbul’un yeri bambaşka. Orada çok gizemli yaşayan, yaşadığı kadar da değişken bir hava yakalıyorum her gittiğimde. İstanbul’un modaya yön verebilen bir şehir haline dönüşebilmesi için, daha önce değindiğim bireysellik kavramının tasarıma yansıdığı bir dönemin başlaması gerekir her şeyden önce ve tasarımcılar için bir pazar yaratılması gerek. Ama bu da tarihsel süreçte olacak. Tasarımlarınızı yaratım süreci nasıl gelişiyor? Nasıl bir ruh halinde olduğunuzu merak ediyorum o dönemler. Tasarımcı olmak başlı başına bir yaşam biçimi; çünkü benim için tasarlamak nefes almak kadar gerekli ve vazgeçilmez bir olgu.Tasarımcının kullandığı tasarım dilinin farkındalığı çok önemli. Ben de kullanıyor olduğum tasarım dilini mümkün olduğunca korumaya, geliştirmeye ve yenilemeye çalışıyorum. Benim için tasarım dilinin gelişimi de bir nevi yolculuk. Bir yerden başka bir yere giderken kullandığınız araç değişmez ama gördüğünüz yerler, tanıştığınız kişiler ve öğrendikleriniz hep değişir. Yani araç değil; ama aracın içindeki siz değişirsiniz. Benim için yaratıcılık da böyle bir şey. Kullandığım tasarım dili belki hep aynı; ama onu kullanış şeklim yolculuğumla paralel olarak değişiyor. Bir giysinin tasarım nesnesi olması aslında yaratım sürecinde yatıyor. Her tasarımın bir doğuş sebebi ve süreci vardır ve o sürecin başlangıcında yatan düşünceler aslında ürünün tasarım oluşumunun da temelinde yatar. Benim için tasarım tamamen o an içinde yaşadığım duyguların ve modun bir yansıması. Bu yüzden aslında hep değişken bir tasarım yolculuğundan söz etmek mümkün. Her ne kadar tasarım süreci değişse de aslında tasarımcının kullandığı tasarım dili değişmez. Bu da tasarımcıların farklı stil ve dile sahip olmasının sebebi. Benim için tasarım sürecinde özellikle form biçimi ve form yaratma önde gelir. Önemli olan “fikrin gerçeğe dönüşmesi” düşüncesi.Her koleksiyon aslında bir sonraki koleksiyon için başlangıç. Tasarım sürecinde algımı mümkün olduğunca açık tutmaya çalışıyorum. Her şey, herkes benim için esin kaynağı olabiliyor. Tek yönlü tasarıma inanmadığım için çok farklı objeler, fikirler tasarım bileşiminde var olabiliyor. Bulduğum bir fotoğraf, bir obje, bir hatıra, hatta bir hayal bile bazen tasarıma başlangıç olabilecek çakmak görevi görebiliyor. Tasarım sürecinin her aşamasını seviyorum. Hayatınızda bir dönüm noktası var mı? Tasarımcı olmak başlı başına benim için çok büyük bir dönüm noktası; çünkü benim için tasarlamak nefes almak kadar gerekli ve vazgeçilmez bir olgu sanıyorum. Hedefinizin ne olduğu çok önemli. Çünkü sevgi ve tutkuyla örülen her şey bir şekilde başarıya ulaşıyor. Benim için tasarım yapabilmek, çizdiğim şeylerin hayata geçmelerini defilelerde görebilmek paha biçilmez bir ödül.Ama dönüm noktası olarak düşünürsek CSM’e kabul edildiğim gün diyebilirim. Kendinizle en gurur duyduğunuz an / olay nedir? Tasarımcı olabilmek ve tasarımcı olarak kendimi ifade edip yaşamımı kazanabilmek benim için en büyük gurur kaynağı... Londra Moda Haftası 4 enternasyonal moda başkenti içerisinde en bireysel ve yaratıcı olan moda haftası olmasıyla unlu. Ben de 2003 yılından beri Londra Moda Haftası’nın resmi listesinde yer alıp defile yapmaktayım; İngiltere Moda Konseyi tarafından 4 kez yeni jenerasyon ödülü aldım. İngiltere Moda Konseyi’nin özellikle yeni tasarımcıların elinden tutması ve destek vermesi, Londra Moda Haftası’nın bu kadar taze ve güçlü bir sese sahip olmasına sebep olduğunu da söyleyebiliriz. Sadece İngiltere Moda Konseyi değil; İngiltere Kraliçesi, Başbakan ve eşi de bu Londra Moda Haftası’nı ve biz tasarımcıları oldukça destekliyorlar. Londra benim için tasarım fikirlerinin öğütüldüğü, hayat bulduğu ve yaşama geçtiği yer. Her ne kadar çok seyahat etsem, esinlensem ve inanılmaz veriler toplasam bile tüm bu fikirlerin oluşum yeri hep Londra’daki atölyemde gerçekleşiyor. O yüzden Londra benim için güvenli bir yaratıcılık alanı. Fikirlerin karıştığı yer Londra; benim sığınağım ve evim; o yüzden sanırım kendimi Londra’ya ait hissediyorum demek daha doğru. Sabah kalkar kalkmaz ilk ne yaparsınız? Okumaktan bıkmadığınız kitap / izlemeye doymadığınız film var mı? “Whatever Happened to Baby Jane” (1962); ne kadar izlesem de hiç bıkmam.Kitaplara gelince; daha farklı… Nedense okuduğum an bitiyor. Tekrar okuyamıyorum. "Moda" deyince aklınıza ilk ne geliyor? "Mutluluk" deyince aklınıza ilk ne geliyor? Unutamadığınız, "tadı hala damağımda" dediğiniz bir lezzet var mı? İstanbul’a her geldiğimde muhakkak yemem gereken şeyler var; mesela balık, mesela mercimek çorbası, nohut yemeği yani ev yemekleri gibi... Onun dışında muhakkak ince belli bardakta cay içerim veya normalde hiç içmememe rağmen Türk kahvesi içerim... Mekan olarak Eminönü, Karaköy, Tünel, Galata, Beyoğlu gitmem gereken yerler arasında.Shoreditch House hem yemekleri ile hem de atmosferi ile özellikle güzel havalarda çok keyifli; Bistrotheque‘te her zaman yeni bir şeyler keşfedebiliyorum ki özellikle hafta sonu kahvaltıları çok lezzetli ve Necco Japanesse Cafe’deki çok sıcak ortam benim vazgeçilmezlerden. Müdavimi olduğunuz markalar / mekanlar var mı? Aslında yok; ama yine de bazı markaların legacy’lerinden dolayı duyduğum saygı çok büyük.